A total of 126 sites (65 left and 61 right) in 67 patients were included in the study. The majority of subjects (80%) described pain from both left and right frontal sites. 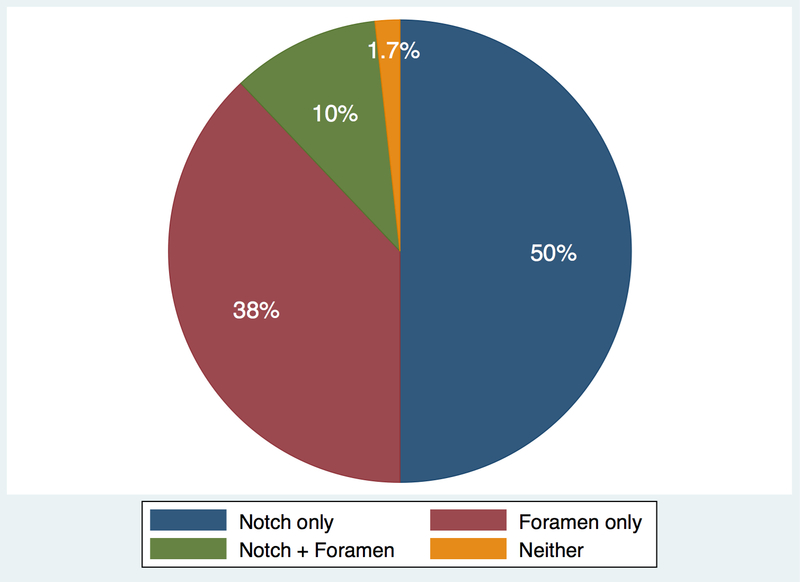 The SON course was through solely a notch in 50% of sites, a foramen in 48% (isolated foramen in 38%, notch plus foramen in 10%), and through neither a notch or foramen (solely a fascial band inferior to the supraorbital rim) in 1.7% of sites (Fig 1). The senior author noted that the SON and STN appeared compressed at 74% and 39% of sites, respectively. 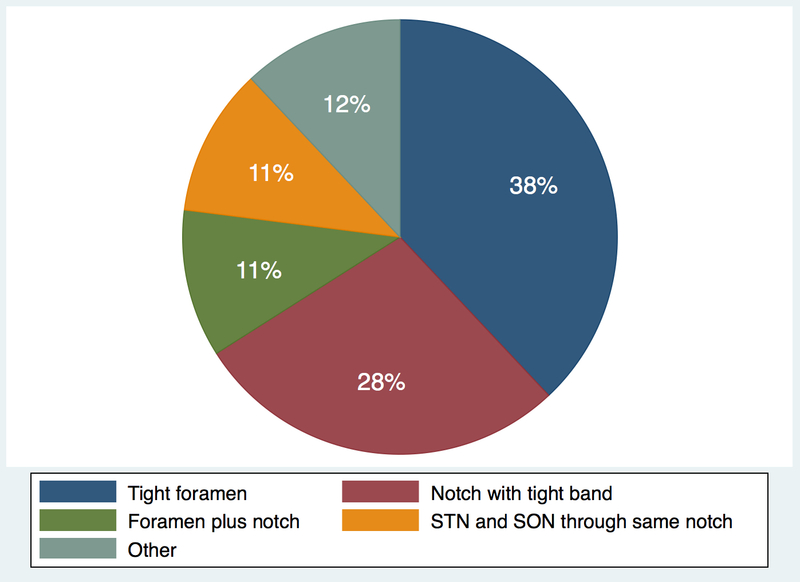 Reasons for suspected compression of the SON included a tight foramen in 38%, a notch with a tight band in 28%, a tight foramen plus notch in 11%, a STN and SON emerging via the same notch in 11%, and "other" in 12% (Fig 2). The anatomy of the frontal trigger site varies greatly between patients undergoing migraine surgery. We report that the prevalence of foramina at SON sites is 48%, which is greater than any previous cadaver studies of the general population. We also report the most common suspected causes of SON and STN compression in migraine surgery patients, which often include a tight band and tight foramen.